Last week Linda Phillips shared the backstory behind her debut novel, Crazy. As Linda's close friend, one thing I have witnessed is how much she has learned and how she has not taken any part of this journey for granted. In this second post, she shares more of her insights. After the initial excitement of signing with Eerdmans died down, patience part two was required with the dog of all dogs: revisions. But I have to confess that I learned a ton about my own writing through that process. One of the things I do best is repeat myself, especially if it has an emotional valence. I rarely place the relevant pronoun immediately after its antecedent. A large cast of minor characters is like trying to find a missing cat in dense fog. There is such a thing as tragedy overload. A little slang goes a long ways. If you are writing about a specific year in time, be sure you research the etymology of words relevant to that year (how shocked I was to find that 1963 was not a “groovy” year). If it serves no useful purpose, trash it. Give your protagonist a spectacularly unique personality and then, like a good parent, make sure she remains true to character throughout. Last but not least, I think I am beginning to learn not to take myself or my writing too seriously. (hold me to this when the reviews start rolling in!) This part I can do only with God’s help. The writing life is such a roller coaster ride and I am admittedly already a roller-coaster personality type. There has been and will continue to be many nail-biting, hair-splitting moments, and many with positive outcomes. But I have had occasion already to remind myself that “this is just a book” and there is life beyond these words and pages that I have poured so much of myself into. So my learning curve right now includes seeking a balanced life that includes quality family time, good health, and continued writing success. Repeat after me: This is not life and death, it is just a book. Here's a video of Linda reading "Nervous Breakdown" one of the poems from the book. You get one guess as to the name of her videographer and the beautiful setting in which it was "filmed"! If you think Linda is sitting around twiddling her thumbs until her book comes out in October, then you're wrong. She's offering writing workshops and working on her next book about a teen struggling to understand the impact of Batten's Disease on her sibling. Remember, one of the ways we all can support new authors is by pre-ordering their books. 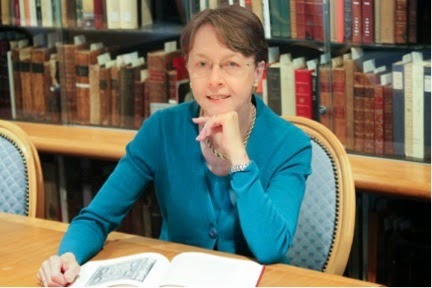 Linda and Eerdmans will appreciate your interest in her book even before its October release date! Congratulations to Lisa Kline, a frequent guest on this blog, who won the autographed copy of Veronica Rossi's book Under the Never Sky. She has donated so many books as giveaways--I'm happy she won one too! If you've been following this blog for several years than you may have already met Linda Phillips, one of my closest writing buddies, friend, and prayer partner. 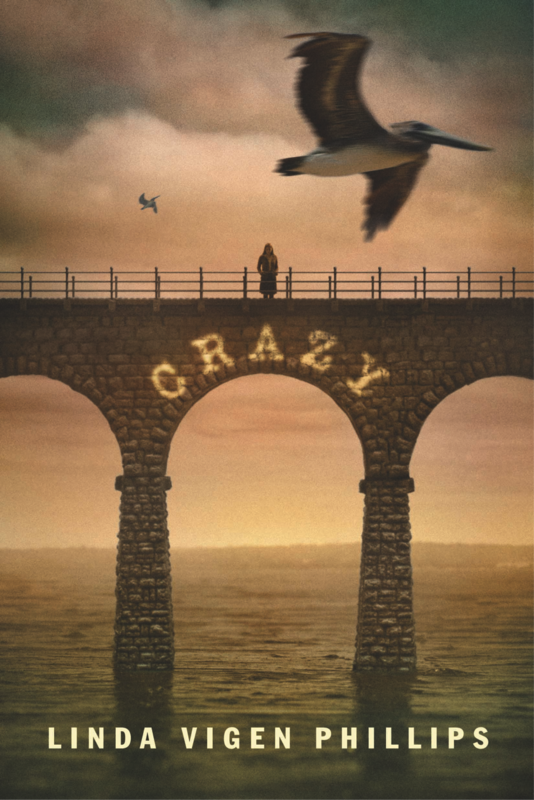 Like a midwife, I've watched as Linda has labored over her debut young adult novel, Crazy, and I can't wait to hold a copy of it in my hands. Over the next two blogs Linda shares what she has learned in the process of writing and bringing her baby--oops, her book--into this world. I hope you will welcome Linda, and Crazy into your lives. Fifteen-year-old Laura Walberg can't imagine life without sketching or painting. When her artist mother has a nervous breakdown the same week Laura's teacher pressures her to enter a prestigious contest, Laura must face her fear that art will send her over the edge, too. Driven by shame and rage, Laura hides her disintegrating home life from everyone, including her best friend. Neither her older sister nor her father recognizes her fear of going insane. Desperately alone, she considers suicide, faith healing, an unlikely relationship with a super-jock, and a new artistic endeavor. When Laura’s mother becomes violent, Laura vows to find the demon that is driving her crazy. An amazing discovery changes Laura forever and opens her heart to the mother she never knew. What have you learned in the process of writing, editing, and getting Crazy ready for publication? Well, I know the ultimate reward for writing a book is seeing it on the shelf, but I’m here to tell you how much I value all that I have learned along the way. In fact, I’ve learned so much it makes me wonder what I thought I actually knew before I started! Speaking of getting started, my adventure began with a collection of adult poems that I wrote as a cathartic release from the emotions connected with my mother’s bipolar disorder. I soon had a collection of twenty poems, some of which were published in adult literary journals. I began toying with the idea of trying to get them published as a poetry collection when you suggested they would be happier in a novel. I really started working on shaping them into a book in 2007. You and I trundled off to Chautauqua, NY for the 2009 Highlights Foundation Writer’s Workshop, where I took my very raw novel and my growing desire to see my name in print. Thanks to my mentor for the week, Patti Gauch, I learned that my YA book was, of course, written in an adult voice. For some reason, that minor little detail had escaped me completely! I owe a debt of gratitude to Patti for setting me on the right path, and giving me an invaluable, detailed critique that took me a year to work through. The next big lesson that I learned was about time management. I was still teaching school and finding writing time was often a frustrating challenge. Being a morning person was helpful, and often I would write in the pre-dawn hours before school. 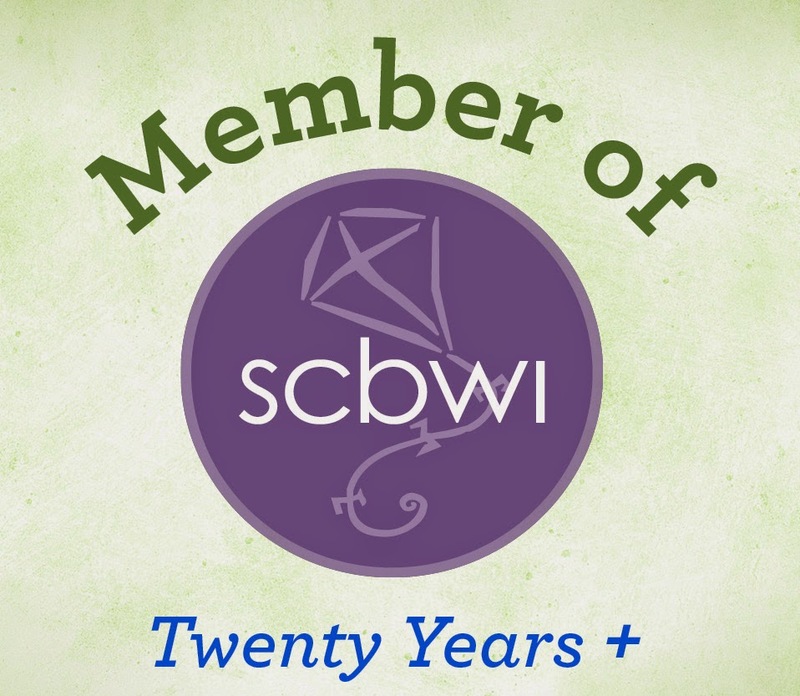 I dropped out of an active role in SCBWI and began saying “no” to as many commitments as possible. When I finally felt like the manuscript was ready for submission, I treated finding an agent like a second job one whole summer vacation. It paid off with the offer from Julia Kenny for agent representation at Dunow, Carlson, and Lerner (she was actually with MarksonThoma at the time). 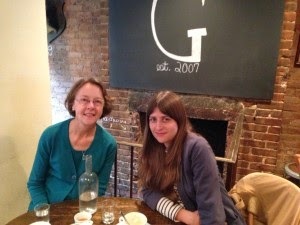 Linda was excited to meet Julia in person in NYC! Oh boy, here’s where the first lesson in patience really kicked in and stop me if I go on too long, because it is never-ending! Written in verse, set in the sixties, with nary a mention of werewolves or dystopian worlds (when those things were really hot)--well, needless to say, my book was not an immediate sell! We came really close several times, but not close enough after about thirty submissions. I was ready to throw in the towel, but Julia wasn’t. She suggested that I try some small, independent houses on my own, since they neither require nor desire agent representation. In the meantime, she stayed in the background providing full support and advice. That meant another “summer job” of querying, but admittedly with dwindling hope. I guess the next big lesson learned was “if you’ve got someone backing you who loves your work, for heavens sake, don’t give up.” So I didn’t. Within three months I had two offers from my querying efforts while I was attending a wonderful Free Expressions workshop called Your Best Book with Lorin Oberweger (speaking of learning experiences, check her out!). And before that amazing week was out, Julia received an offer from Eerdmans, one of the original thirty submissions, which we jubilantly accepted. I know I learned tons that week, but it might boil down to how to stay sane while juggling three offers at a workshop with your WIP. Join us next week when Linda shares what she has learned about herself, revision, cover design, and one of her poems from Crazy. Write a story with two separate character arcs. Write a story that has its own "big picture" arc interweaving the two girls' journeys. Create characters with two distinct voices. 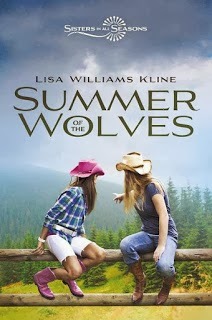 Lisa Kline's first book in her middle grade Sisters in All Seasons series is Summer of the Wolves. Soon after their parents marry, step-sisters Diana and Stephanie are thrown together on a family vacation. Their rocky relationship is full of tension, distrust, and misunderstanding. The two points of view allow readers to climb inside each character's skin thus increasing their empathy for the characters' experiences. When the girls misguidedly attempt to save some caged wolves, they have to face the repercussions of their actions together. Taking responsibility becomes a vehicle by which they each grow and they become more than step-sisters. Lisa shared one of her challenges in writing this series: "There is also a special issue with the passage of time that you face in writing for two voices. You always must keep time moving forward, even when you change from one voice to another. This is a trick that one of my teachers taught me a few years ago. If you have a scene that’s told from the point of view of one person, and you want your readers to see that same scene told from the point of view of the other, you first need to move forward, and then tell that scene as though it’s a flashback. You can’t move backwards in time when you make your move between the two voices. Keep your clock always ticking forward." 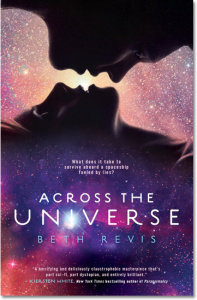 I met Beth Revis three years ago and purchased Across the Universe. It took me too long to crack the cleverly done reversible cover, but when I did, I was hooked. This young adult science fiction novel tells Amy's story: frozen for the purpose of populating a new planet in three hundred years, she wakes up early on Godspeed, a spaceship controlled by a tyrannical leader bent on creating his own maniacal world. Amy meets Elder, the young man who is being groomed to be the next leader. From different worlds and different times, they are linked by their common goal of finding out the truth about Godspeed. I was fortunate to win a copy of Under the Never Sky, Veronica Rossi's first book in her young adult dystopian trilogy. The reader is immediately hooked into Aria's sterile world in which her scientist mother has gone missing. Desperate to find her, Aria leaves the safety of her Pod and goes into Reverie where she is convinced she will die. She meets Perry, an Outsider and a savage who is both frightening and attractive to her, but who can help her return home. The alternating viewpoints highlight not only the differences in Aria's and Perry's intrinsic natures and world views, but also their contrasting male and female points of view. So, what did I learn from studying these books? Writing in two points of view can demonstrate how two individuals--from different backgrounds and/or worlds--unite to overcome a mutual enemy and reach a common goal. A great lesson from three great authors. I am giving away my gently used, autographed copy of Under the Never Sky. If you want to win it, please leave me a comment by March 17. Every time you share this on social media of your choice, I'll add your name again to the "hat". Follow my blog or tell me you are already a follower and I'll give you another chance to win. If I don't have your email address, make sure you leave that too! If you want to discover more about books from two points of view and for another opportunity to win Under the Never Sky, as well as a copy of Season of Change by Lisa Kline, Once Upon a Cool Motorcycle Dude by Kevin O' Malley and Cowboy Up! by Nancy Bo Flood--then check out Joyce Hostetter's and my next issue of Talking Story. After reading What I Saw and How I Lied, I contacted the author, Judy Blundell through Facebook. I was impressed with Judy's knowledge of the books that Evie Spooner, her post WWII character, read. Including this literature brought historical accuracy and greater depth to Evie's character. Judy told me how she located her resources. She inspired me to find a few books which Lillie Harris and Kate Dinsmore, my two protagonists, would have read. As some of my faithful blog readers know, my story includes Lillie and Kate uncovering a china cup that belongs to both their families. Over the process of writing Half-Truths, I've played with different china patterns. 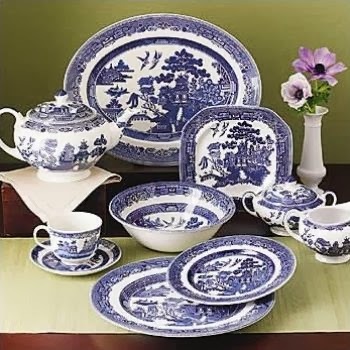 My friend and writing mentor, Joyce Hostetter, suggested the popular Blue Willow pattern. When I posted this picture on Facebook, several friends commented about their grandmothers' collections. Becky Levine and Joyce chimed in that I really needed to read the book, Blue Willow, which they remembered from their own childhoods. 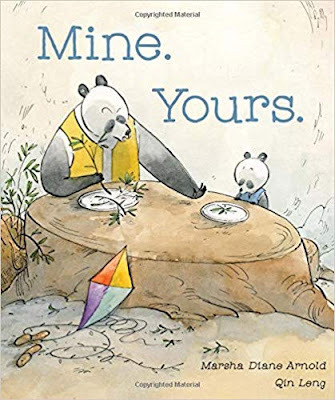 After reading it I realized I'd found a book which both girls would have enjoyed and a story that could provide rich subtext for Half-Truths. I tackle the breakfast dishes, washing and stacking them so they dry nice. I take special care with Big Momma’s china cup. There’s a chip along the rim and I don’t know how many times my grandmother has glued the handle back on. Daddy teases her that he’s going to get her a new cup for her birthday, but she says her coffee won’t taste right coming out of any other cup. She never lets anybody else drink out of that cup neither. The way she prizes it, you’d think a boyfriend gave it to her. I rinse and wipe the cup dry, tracing my finger around the blue doves flying over the pagoda. When I was little, Big Momma told me the legend of the young Chinese lovers who were turned into doves when they eloped against the girl’s Daddy’s wishes. This was one of Big Momma’s favorite stories. Mine too. A girl loving a boy when her Daddy didn’t think he was good enough for his daughter? You can’t get more romantic than that! Later in Half-Truths, Kate's little sister Maggie discovers a blue willow tea set in their grandmother's attic. Maggie pulls out crumpled sheets of yellowed newspaper and throws them on the floor. I start to gather up the paper but then stop. Maggie holds up a blue-patterned tea pot for us to admire. I gasp and put my hand over my mouth. But it’s too late. The girls look at me questioningly. Miss Anna Kate looks from me to the china and back to me again. “It’s just like the china in the book.” Her voice is slow and thoughtful. 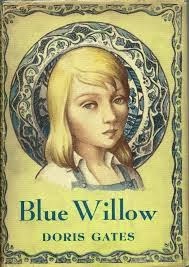 “You mean Blue Willow?” I ask. “What are y’all talking about?” Maggie’s crosses her arms across her chest and looks perturbed. Miss Anna Kate corrects me. “Just the best book ever." We smile at each other. I’m surprised we’ve got something in common. But I gotta admit, it feels good. Blue Willow china: generations old.